Yet Luntz had to admit that as a creator of effective “political messaging and attacks,” he has taken the American people in this direction as well. First, laying the blame solely on President Obama ignores the “Rove-ian” tactic under President Bush in the run-up to the Iraq war misadventure, labeling any opposition as “traitors” who “do not support the troops.” That’s like a woman turning a man down for a date only to have him call her a lesbian (as if that were an insult). You don’t like me, therefore you must be gay! The same absurd tactic was used in 2008. If you don’t like Barack Obama, you must be a racist. Former Obama campaign manager and close advisor David Axelrod has often been called the ‘Democratic Karl Rove.’ Two sides of the same coin. Both the professional left and right use flame throwing tactics to get their way. This is nothing new. 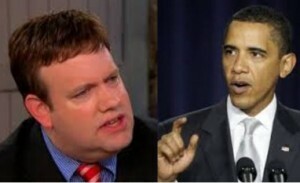 Mr. Luntz should feel haunted now for an environment he admits he helped to create. While President Obama may sow discord with incendiary rhetoric, the other side gives as good as they get. To blame this on one man misses the point. Critical as I have been of the Obama administration – and Obama, Reid and Pelosi’s rhetoric of divisiveness is not in doubt – it is clear they get a more than able assist from the bulk of mainstream media. We were doomed as soon as news stopped being a public service and moved under the umbrella of each Network’s entertainment division. The 24-hour news cycle offers teasers, infotainment and political theatre as much as fact. Most news divisions never saw a cat fight or kerfuffle they didn’t want to promote into a death match in order to sell copy. Luntz complains that we are addicted to freebies offered by government, yet corporate America is not encouraging a pay-as-you-go mentality either. Mr. Luntz neglects to mention that the big business CEOs he thinks should offer ideas to rescue our society (“since politicians have failed us”) own the very companies that advertise to convince us that we need to be given everything right now, without being able to pay for it. No money down! Zero Financing! These attitudes are further reinforced by television infested with reality programming offering money and fame to those who are often willing to make idiots of themselves. We are sold an airbrushed world designed to make us dissatisfied with our own less than glamorous lives. A consumer hungering for something outside him or herself is no better than a hamster scuttling around a wheel. Racing to the lowest common denominator is now endemic in our culture, echoed by crude attacks and the politics of divisiveness on both sides. Rage and derision leave little room for learning. Distraction and division are also effective tools to keep the electorate under control. Close to embalmed, actually. If you’re busy hating your neighbor, you are too preoccupied to notice what the political class is doing. There is a reason you don’t have to put a lid on a barrel of crabs. When one tries to climb out, the others pull it back in. Every time we chime in with an ad hominem attack, every insulting blog comment, every hateful tweet, all the screaming without listening out here on the ground only ensures that the same special interests we decry will keep on winning. We seem to be stuck with the lesser of two evils every election cycle. It is not because we are stupid and need to have an oligarchy tell us what’s good for us. On the contrary. They have been talking too much. Branding supersedes substance every time. Frank Luntz can point the finger all he likes, but we are only reaping the seeds that he, along with Axelrod, Rove, Matthews, Hannity, Limbaugh, Dowd, Schultz, Maher and others have sown. To be fair, Mr. Luntz is currently critical of both sides. But do we really believe he is concerned about Americans hardening altogether – or hardening to a message he would prefer we hear? I’d rather all the spin-meisters took a vacation. Only when we ignore 24/7 media brainwashing or the professional political class will we have a chance to see what our leaders stand for and make better decisions going forward. Civility and reason are the secret weapons they’d prefer you not have. What a refreshing voice to hear in this divided country. I have felt this way for a very long time, and wish that others could see that both sides are manipulating the electorate. We must all join together to have respectful dialogue; to respect others opinions without name calling. The best way to shut someone up is to call them a racist or a socialist when you don’t agree with their point of view. I’m glad I found your blog! Keep up the good work! Jet, Sorry I missed your comment when you first put it up. Thanks so much for stopping by. I hope you’ll stay in the discussion. 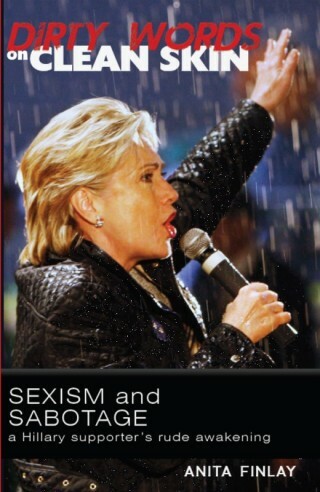 I’m always thrilled to find another reasoned voice!